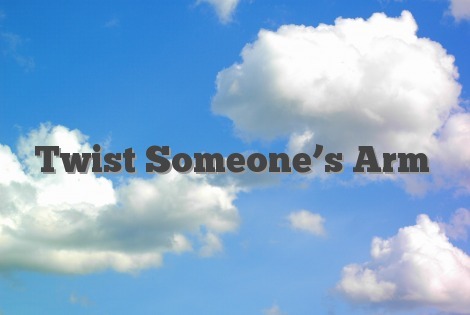 What does the idiom “twist someone’s arm” mean? “Uhm, you’ve twisted my arm. Ok John, I’ll go with you”.